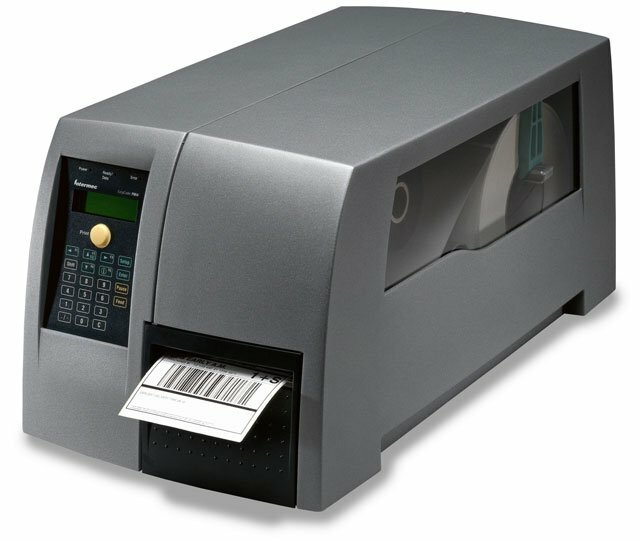 Intermec EasyCoder PM4i Industrial - Thermal transfer printing, 300 dpi, 4" print width, Ethernet/RS-232/USB interfaces, Peeler, Real-time clock. Interface/power cables sold separately. The EasyCoder PM4i is an industrial printer designed to excel in demanding applications and environments. Utilizing the latest technology, the EasyCoder PM4i features a strong and proven mechanical platform, and powerful newly developed electronics. The EasyCoder PM4i printer acts as a "smart client" executing user-defined programs. This means your EasyCoder PM4i printer eliminates the personal computer, operates additional hardware (e.g. scanners, other printers, conveyors), accesses information from network host, and retains the ability to change as needed with the application for additional functionality. When using the EasyLAN Wireless option for the EasyCoder PM4i, any attached peripheral devices also become part of the wireless infrastructure. 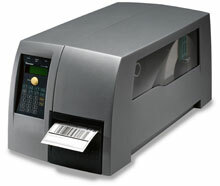 Includes Intermec LabelShop START barcode label design software. The Intermec PM4D010000005130 is also known as Intermec Technologies	INT-PM4D14	.